1. “Russian Roulette? 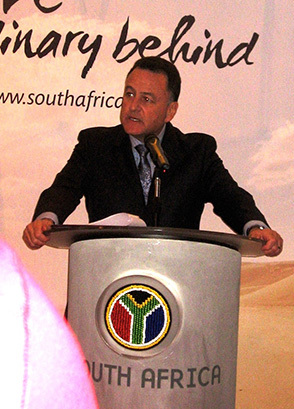 – What amending the Constitution to allow Expropriation without Compensation Means ” – In May 1996, when the South African Constitution was agreed in Parliament, Tony Leon was involved in its drafting and played a key role as Chairman of the Constitutional Assembly Theme Committee of Fundamental Rights in resolving Section 25 –the Property Clause. 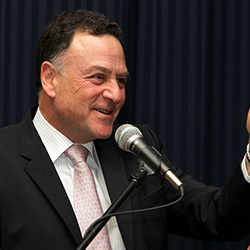 2.“Ramaphoria and Ramareality ” – Using both his unique access (personal encounters with the current and past five Presidents – FW De Klerk, Nelson Mandela, Thabo Mbeki, Kgalema Motlanthe , Jacob Zuma and Cyril Ramaphosa) and well-honed political and analytical skills, Tony Leon looks at the possible ways forward for South Africa after the financial market meltdown, currency crash, the credit downgrade and the economic and political challenges which confront us in a world of uncertainty. He also unveils some of the silver linings in our stormy skies. 6. “Africa-Beyond the Headlines and Behind the Numbers – From Prowling Lions to Black Swans and Hidden Dragons.” Africa’s impressive recent gains in growth and market share have invited investor interest at home and abroad. But in 2017 with crashing commodity prices and rising sovereign debts, some of the shine has gone off the African ball. There are both real success stories and some whopping failures. 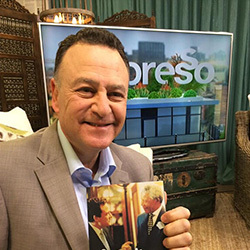 Analyzing the trends and using real time examples, Ambassador Tony Leon examines whether the once ‘forgotten continent’ is indeed open for business and some of the cautionary tales to remember. 7. “Lessons from the Latins” – Mexico could soon replace China as the centre for global manufacturing; Brazil, once the continent’s super-star is embroiled with challenges yet has seen the most spectacular growth of its middle class in recent world economic history and Colombia and Panama have shrugged off their troubled histories to position themselves as the Singapore’s of Latin America. 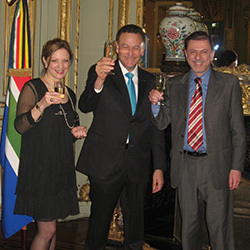 Using his experience as the recent South African Ambassador to three countries in the region, Ambassador Tony Leon offers unique insights into this fast growing global market and the opportunities on offer in it. 8. “Power of disruption – Politics and Business” – How the disruptors – from the transistor radio in the 1950’s to the iPhones of the 2000’s have totally disrupted in some cases destroyed industries and business models. In politics the same pattern has emerged in 2016 – from Julius Malema in South Africa to Donald Trump in the United States. A fascinating talk linking disruption and populism in business and politics creates a realistic and challenging picture of the current scene in South Africa and the world. 9. South Africa – Should I Stay or Should I Go? – South Africa is on two tracks: the one leads to hopeful resolution and the other to despair and possible extinction of the “Rainbow Nation”. This talk examines both roads and which is likely to prevail. In 1981 The Clash had a hit song with the title. 2018, with talk of expropriation without compensation and an assault on private health care and a ‘new dawn’ tinged with red, suggests the mood music at home has changed. This talk navigates these currents. 10. “Stop the World I want to Get Off” – Tony Leon provides well-honed insights into the post Brexit, pre-Zuma departing political and economic earthquakes that have shaken our globe and country. The road ahead is paved with uncertainty but can be navigated. Donald Trump is the most disruptive president in US history and here at home, power slips from Jacob Zuma’s grasp what does all this mean for our fragile democracy and economy. Tony Leon offers some interesting answers.